Duncan MacPhail grew up and lives in Vermont. After high school he studied forestry and natural resources at the University of Vermont and Scottish history at the University of Edinburgh in Edinburgh, Scotland. During and after college, he worked as a fishing guide and commercial fisherman in Alaska and New England. 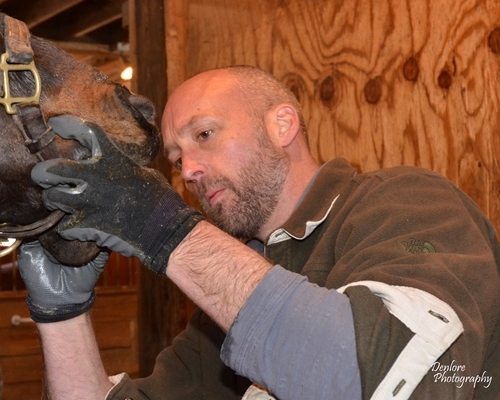 Duncan trained to be an Equine Dentist at the Academy of Equine Dentistry in Glenn’s Ferry, Idaho and started his business in 2001. His mission is to provide professional, sedation-free equine dental care to all horses, regardless of breed, discipline, personality, or history. Duncan MacPhail is available to give talks and provide educational seminars free of charge. He can be reached at 802-291-0354 or by email.